Contrary to what many people think, many farmers and gardeners are still harvesting delicious organic produce even this late in the fall. Thoughtful planning in the edible garden (coupled with good rainfall and temperature conditions) can expand the limits of conventional vegetable gardens and increase our capacity to eat fresh, healthy, organic food longer. 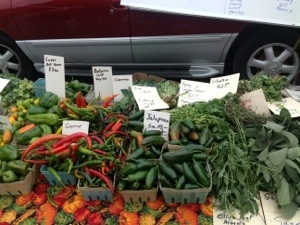 Edible gardening can actually be done all 4 seasons in upstate New York. 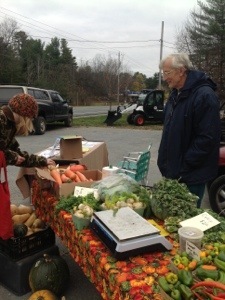 This week I attended a homesteading fair celebrating local food in South Glens Falls. The Otrembiak Farm had a farmstand where they were selling freshly harvested organic produce from their garden (lots of root vegetables and tenacious peppers.) 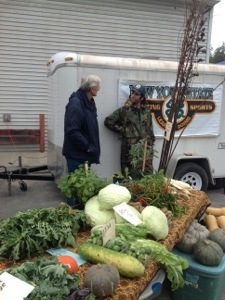 They were also offering information about foraging: finding wild edible plants. Often these are plants we consider common “weeds.” Nettles, plantain, mustard greens, amarynth, purslane, pigweed, burdock, and Jerusalem Artichoke are all excellent examples. 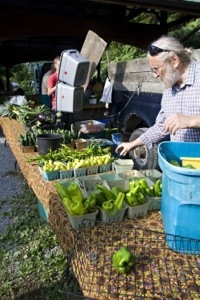 Organic farmers often have a tremendous wealth of information to share. 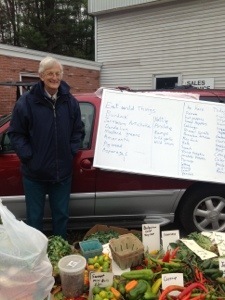 The Otrembiak Brother’s Farm can be found at the Saratoga Farmer’s Market, and if you are lucky enough to meet them you will find that their generosity with their information and experience is instantly endearing.